There can be various ways to attach success to an artist in the music business. Monster tours, sold out smaller clubs every night, digital single downloads or radio play are all solid indicators that an artist is doing okay for themselves. One indicator sticks out more than all the others though, and that’s simply albums sold. Today’s artist not only has the crazy sales, but all the other boxes checked as well. Edward Christopher Sheeran was born on February 17th, 1991 in Yorkshire, England. His father was an art curator and owned his own art consultant firm which usually took them into London on weekends. Ed and the family would load into the car, sing and listen to music on the drive. He’d started singing in the local church choir at four years old and began writing music in his high school years. Ed’s older brother also studied music and currently works as a classical composer so, it’s safe to say, Ed’s disposition for music started early in life. He began recording music in 2005, generating some buzz, but nothing significant. It was in April of 2010 he bought a ticket to Los Angeles in hopes of making it big. Playing open mic nights around the city, he was spotted by Jamie Foxx who immediately saw his talents. Foxx offered full use of his in-home studio and home to begin making demo tapes. 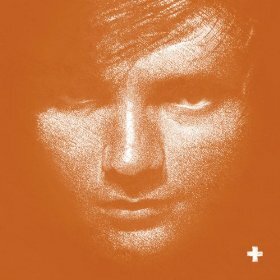 In September of 2011, his debut album + (read as plus) was released. Because of Foxx’s advice steering Sheeran in the right direction, he was signed to Atlantic Records and was sought out by Elton John’s management team. The album had three singles and sales were good, but not blockbuster. In March of 2012, Taylor Swift contacted Ed after hearing some of his music while she was touring. They would end up collaborating on a couple tracks released on Swift’s fourth studio album “Red”—but he also ended up being the opening act for her world tour. This exposed his music to a whole new set of fans who may not have been listening to his more folk-pop style. Sales of his album would go through the roof, with current numbers at nearly 10 million sold. His follow up x (read as multiply) have sold nearly 15 million as well in fewer than two years. A while back I blogged about Damien Rice and Sheeran’s music is very similar. It’s pop with a passion—pop music if 1960s folk singers wanted to make semi-catchy music for today’s generation. Since there is this acoustic hip-hop type influence to Sheeran’s music as well, it’s got a bit of a distinction I’m not sure I’ve really heard before. It’s like Damien Rice and Bruno Mars formed into one artist. Somewhat surprising, I’d never picked up Sheeran’s music until today. I definitely have heard of him, and knew who he was, but I came into it thinking he would be just another pop act; I’m pleasantly surprised by the uniqueness of it. I like it so much as to listen to his follow up today too, which is rare for me. The millions of copies sold can’t be wrong, right? There must be a reason this guy is one of the hottest artists on the scene today. Why not introduce yourself to him like I did, especially when it’ll only cost you $5 bucks?